Design software is among the most expensive on the market. Software like Quark and Adobe Photoshop is popular among magazines, and advertising and design firms. The software is priced for that market, but is often unaffordable for everyone else. Instead of paying $400 or more for the latest design software, try one of the top free print ad design programs. The free programs are fine for occasional and minimal design needs. Scribus is a free desktop publishing program comparable to Adobe InDesign and Quark. The ease at which you can create professional-looking print ads will surprise you. In addition to print ads, it’s possible to create newsletters, brochures and more. Scribus is free, but it’s as good as paid software. Open Office Writer is a part of the free Open Office software suite. You have to download the entire suite, but you don’t have to install all of the programs. If you want to create print ads, Open Office Writer is worth a look. It’s not a dedicated design program, but it works reasonably well for desktop publishing purposes. Inkscape is a free vector graphics program, much like Adobe Illustrator. 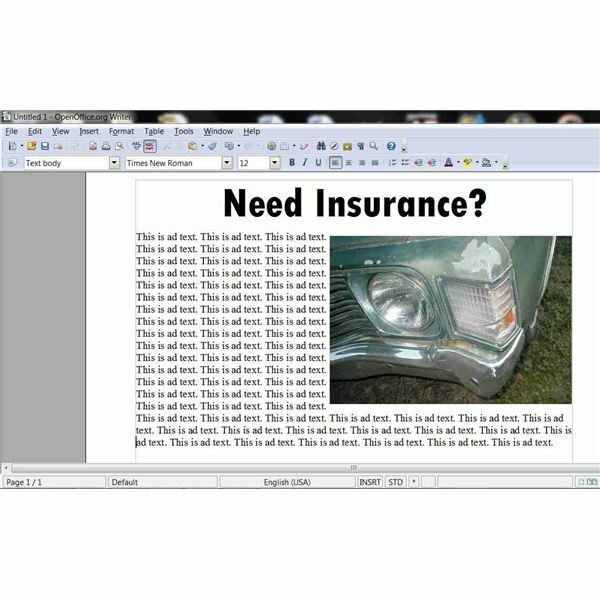 It’s not a page layout program, but it does work to design print ads. Inkscape almost has just as many features as Adobe Illustrator. You’ll find it hard to believe that the program is free. It’s abundance of options may be overwhelming for some users. The best way to learn Inkscape is to experiment with the program. Focus on learning the features you need, and put the others aside until later. Inscape has the ability to important graphics in a variety of formats, including .BMP, .JPG and .GIF. Once imported, you can alter images by adding text and shapes. Draw your own graphics using the pen tool or a graphics tablet. 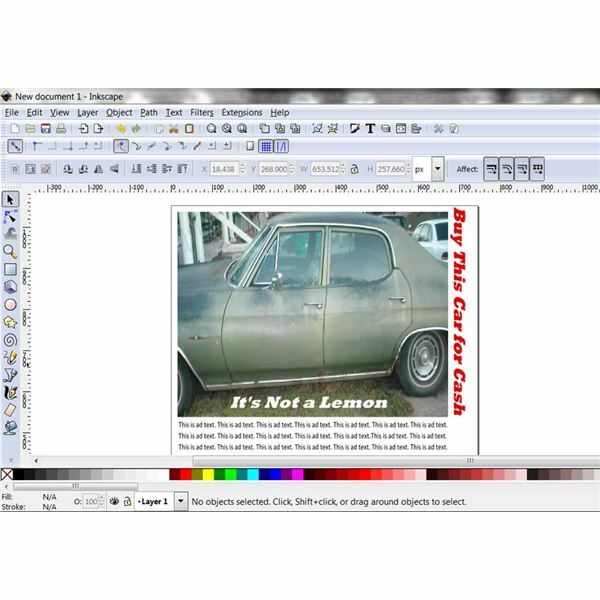 The text tool allows you to type the content of your ad directly into Inkscape. 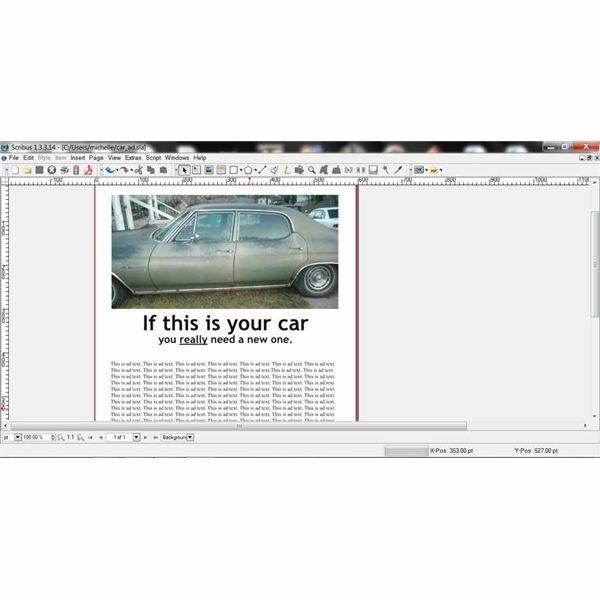 Scribus, Open Office Writer and Inkscape are three top free print ad design programs. The programs offer a variety of features, some of which you may never use. The mechanics of designing a print ad include the ability to work with graphics and text. Any of the software in this article provides the basics. You should remember that software is a tool. A print ad’s success or failure depends on your creativity and understanding of design.